I am not a movie person. I don't buy advance tickets to new releases. I don't plan events around a new movie. I do not rewatch movies unless it is an all-time favorite (gut-wrenching Imitation of Life, my kind of musical Purple Rain, or the prize-fighting Rocky series). I cannot quote lines from classic movies such as Color Purple, Coming to America, Friday and such. I can't tell you which actor played in what movie. Like I said, I am not a movie person. But I do love black history. 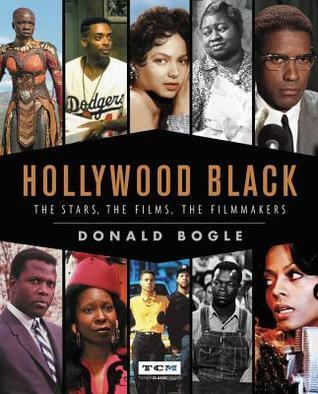 Hence my enthusiasm to read a new book release titled Hollywood Black: The Stars, The Films, The Filmmakers which spans from the early years of 1905 to the new Millenium. What an outstanding book cover too! This is the definition of a coffee-table, conversation-starter piece. The black and white images and colorful film posters within are just as eye-catching and support the content. I plan to gift this book to a couple friends that will appreciate the true story it tells. We have all heard the household names like actor Sidney Poitier, actress Dorothy Dandridge, songstress Lena Horne, filmmaker Spike Lee, Claudine or cool cat Shaft. However, Hollywood Black expertly points out lesser known black stars that paved the way. There are a ton more actors, actresses, writers, directors and producers that have been glossed over and deserve recognition. From the era of blackface to modern-day Jordan Peele/Viola Davis and the breaking of stereotyped roles, Hollywood Black serves as a guide. To say I learned a lot is an understatement. I gasped while reading about how far blacks have come in the film industry. I had no idea there were films titled as bold as The Dancing Nig. While other movies like my favorite, Imitation of Life, is a tearjerker example of rejection, colorism and white advantage. The funeral scene is still one of the most moving ever! Eddie Anderson went from being paid a measly $35 to earning $100,000/year and was the highest paid black actor. Women like Hattie McDaniel were larger and browner offering mammy-ish comfort on screen to white heroines. Now look...black men and women of all shapes and shades are stars in film both on and behind the camera! I highly recommend Hollywood Black: The Stars, The Films, The Filmmakers to movie buffs and fellow lovers of black history. If anything, you will be left with a world of knowledge and a long "To Watch" list. May I suggest you begin with blaxploitation cinema? Spring is upon us so get a head start, rent old black films and continue supporting new black films until this Turner Classic Movies book is released in your hands. Happy Early Pub Day, Donald Bogle. Hollywood Black will be available Tuesday, May 7.